The BFL-CW 3000 V0.1.EN is a wavelength stabilized high power fiber coupled 1080nm laser diode from BTW. This easy to integrate OEM laser diode module utilizes specially designed micro-optics to transform the asymmetric out of the laser chip improving the beam quality to couple the laser into small core fiber optics providing 2000 watts of power unpreceded brightness. 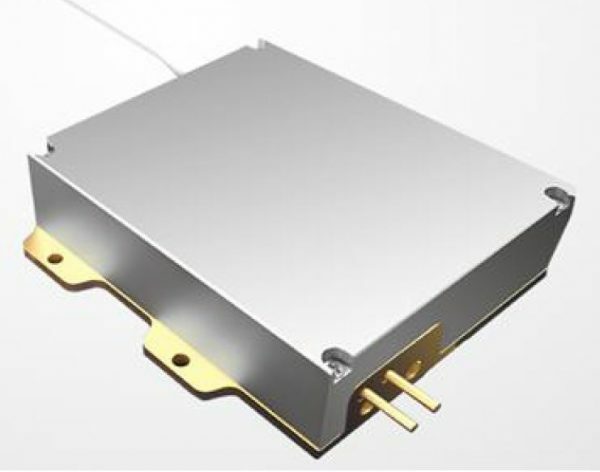 The volume Bragg grating stabilized external laser diode cavity design of the BFL-CW 3000 V0.1.EN not only offers wavelength stability and a linewidth less than 0.7 nm, but it also reduces the overall power consumption and thermal load by limiting the number of modes lasing at a giving time. 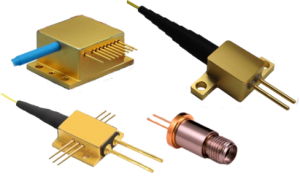 All of these features in combination with a 100,000 hour typical diode lifetime, make the BFL-CW 3000 V0.1.EN laser diode module ideal for fiber laser pumping.